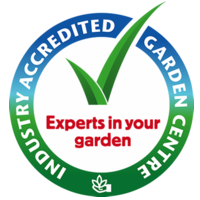 Purchase a Gift Voucher, the perfect solution for when you can’t decide on a gardening related gift or if you know they would like to choose something for themselves. Gift vouchers are also available over the counter or by phone. Planning a wedding? Would you like some gifts that grow with you? We can organise a registry for your family and friends to help contribute to your garden or perhaps a sculpture or fountain. A registry is a perfect way to collectively share in creating an enduring gift that will last and grow over time.